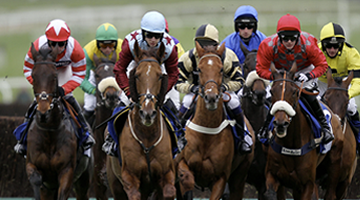 It was a big day for Highclere America yesterday that included two winners from two starters. 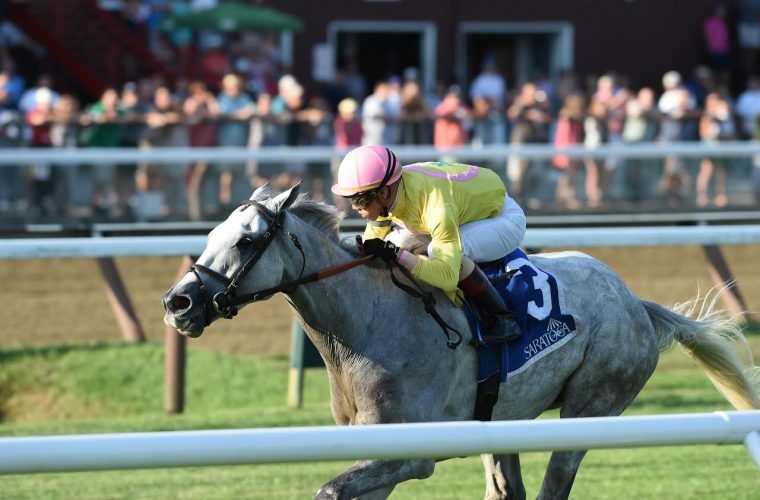 Mr Maybe won the $100,000 John’s Call Stakes at Saratoga in impressive fashion and Runner Runner was promoted to an Allowance win at Indiana Grand. 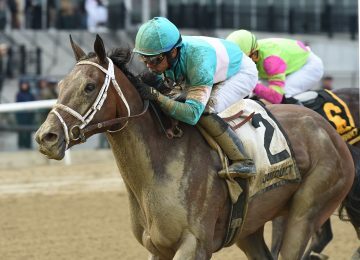 Mr Maybe saved all the ground under leading rider Irad Ortiz Jr. and made a great move to charge down the center of the track and win by 2 1/4 lengths. The 1 5/8th turf marathon was a distance Mr Maybe had never tried and one he clearly seemed to relish as he strode him to victory under wraps in the final strides.To make this Stakes win even more special it was officially Chad Brown’s 1,000th career win as a trainer at just 37 years of age. 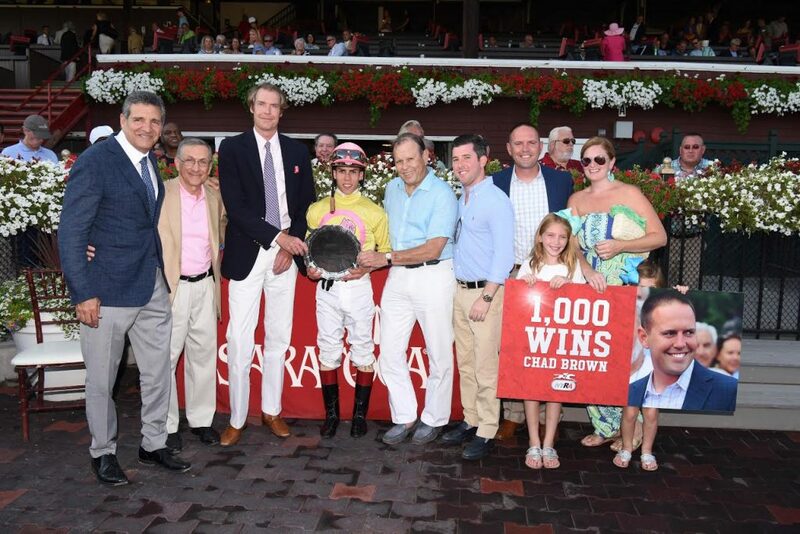 It is great to win a Stake at Saratoga but for it to have this historical significance is really special. Great to share the day with good friends Sol Kumin, Michael Dubb, Chad Brown, and Highclere partners. 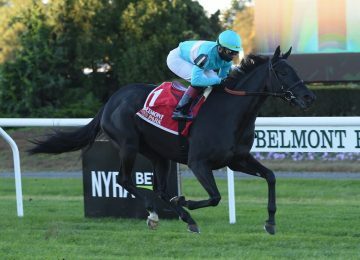 Mr Maybe was trained up to the race at Bruce Jackson’s Fair Hill facility before being shipped to Saratoga just two weeks prior. He was having some lung issues and Bruce did a great job to get him to the races in peak form. This was Mr Maybe’s third win for Highclere America after being purchased by BSW Bloodstock in October of 2015 for the group. He went on to win his first race for the partnership followed by a G3 win in the Red Smith Handicap at Aqueduct last fall. He has now increased his earnings to nearly $400,000 and is a very special member of the Highclere roster. Runner Runner started off the day by being promoted to the win in an Allowance race at Indiana Grand. She ran a good second beaten a half length by Paint The Corners. With a stroke of luck the winner was taken down for interfering with third place finisher Exximia giving Runner Runner the win! It was a nice allowance win for the daughter of Dark Angel (IRE) to finally get the Allowance win with this filly! She now has over $100,000 in earnings including a G3 placing in Europe. It was a nice ride by jockey Robby Albarado and training job by Brad Cox. Congratulations to Highclere America on a great day! !